This All-Inclusive 11 day/10 night tour will take you on a one of a kind rowing adventure in Central Europe. Between arrival in Prague on June 20 and departure from Budapest on June 30, you will have the opportunity to row every morning for about 1.5 hours (weather permitting), sightsee with local tour guides in the afternoon, enjoy delicious cuisine and have a little time to explore on your own. Rowers of all skill levels are welcomed and encouraged to attend. Your safety and enjoyment on the water are guaranteed. Non rowing companions will enjoy this trip as well as there is so much to see and do. Prague is the capital of the Czech Republic, also a Unesco Monument and one of the most enticing cities in the world. 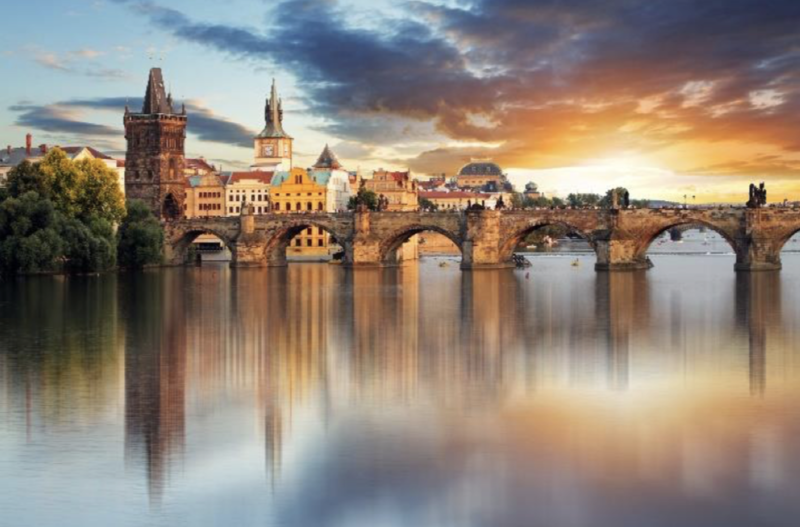 We will row on the Vltava River which runs through Prague, crossed by 18 bridges, including the famous Charles Bridge, Prague’s top attraction, only minutes away from our hotel. At the core of Prague is Old Town Square with colorful baroque buildings, Gothic churches and the medieval Astronomical Clock, which gives an animated hourly show. 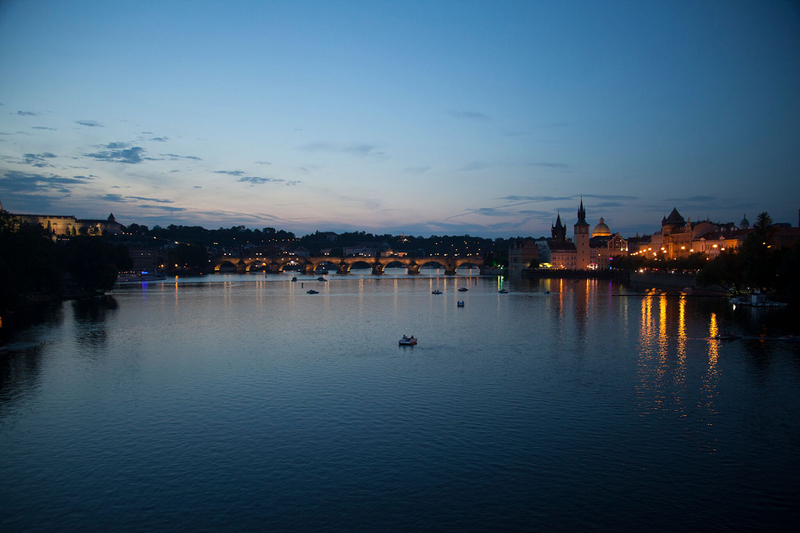 After 3 days in Prague you may start wishing for a little peace and quiet. That’s where our next destination comes in. About 5 hour drive from Prague with our private mini bus, Piestany is a small town in Slovakia with a population of about 30,000. Nestled at the foot of the Carpathian Mountains and surrounded by the River Váh where our rowing practice will take place, Piestany is best known as a spa town where people come often for a month or more to take advantage of the mineral-packed thermal water and sulfuric mud. When used in tandem, they are purported to treat a wide array of musculoskeletal diseases, back and joint pain, sports injuries, and skin disorders. 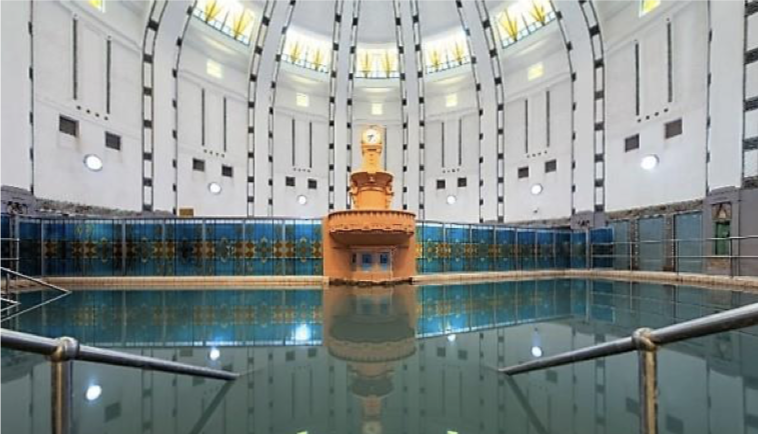 Your stay in Piestany includes spa visit (which you can schedule at your own time) and a stop in Bratislava, the capital of Slovakia, where we will enjoy a walking tour with a local guide. Budapest is the capital of Hungary and our final destination. 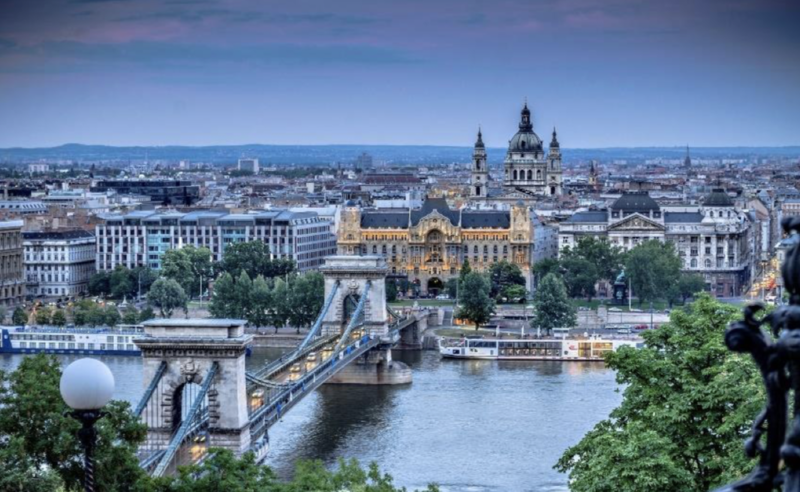 It has two sides, Buda and Pest, stretching along the banks of the Danube, where our rowing sessions will be held, representing two different characters of the city. Suburban Buda and its historic castle district offer medieval streets and houses, museums, caves and Roman ruins. The dynamic Pest side boasts the largest parliament building in Europe, riverside promenades, flea markets, bookstores, antique stores and café houses. This once in a life time experience is priced at $5,495 (* $4,995 for iROW for previous iROW Tours participants and iROW Fitness Studio clients). In other words, the trip is priced to include all costs while you are on the tour (with exception of any personal items you may want to purchase). The only thing you need is your plane ticket and travel insurance. All fees associated with tour guides, museum visits, boat rentals, etc. The capacity is for 6-12 people and your non-rowing friends are welcome to join us. We must have 6 people signed up by February 1, 2019, in order to proceed with the trip. To sign up, please send a $1,500 non- refundable security deposit. This reserves your spot in the tour. The remaining amount is due on April 1, 2019. Forms of payment accepted: checks and credit cards (for credit cards please add a 3.5% surcharge). For questions, please contact Iva at iva@larowingcoach.com or 310.895.5506 to sign up. See you in The Heart of Central Europe!